Black soap hails from West Africa and is quite popular due to its powerful effects on the skin. It is known by many names, including "ose dudu," a name used by the Yoruba people of western Nigeria that literally means "black soap." The color of black soap can range from light brown to deep black, depending on the method of production. Black soap contains ingredients that are beneficial for the skin. Palm oil is an ingredient in black soap that is rich in antioxidants. It contains both tocopherols and tocotrienol, both forms of vitamin E, which is used in the treatment of acne and eczema. Palm oil also contains carotene. Carotene, tocopherols and tocotrienol all help reduce cell damage caused by toxic substances and environmental pollution. Palm kernel oil is another ingredient in black soap and is extracted from the fruit seeds of the African palm tree. 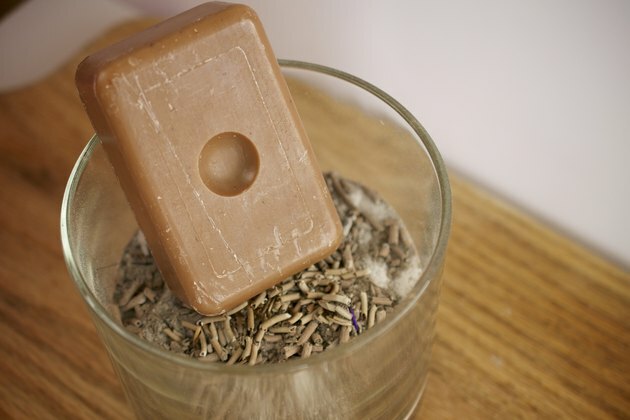 It is used to increase the lather and hardness of soap and is high in lauric acid, which helps to destroy organisms like fungus, bacteria and viruses. Palm kernel oil is similar in nature and properties to coconut oil. Black soap also contains cocoa butter, a natural fat extracted from the cacao bean. 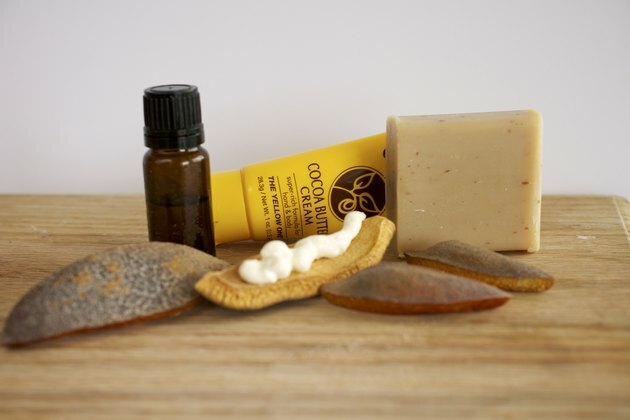 Vitaminstuff.com notes that cocoa butter is a very good moisturizer and readily absorbed by the skin. It is often recommended for the treatment of eczema and dermatitis. 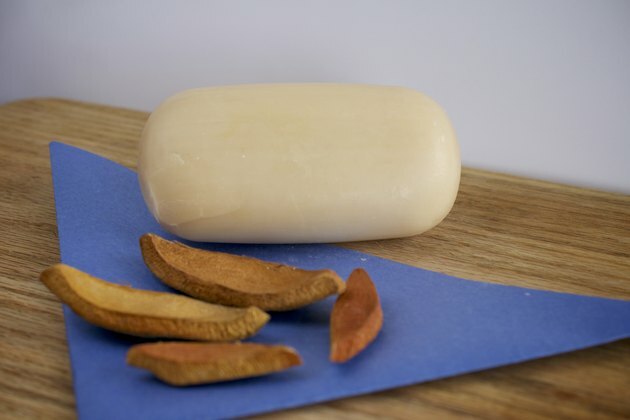 Shea butter, also known as karite butter because it is made from the nuts of the karite tree, is another ingredient in black soap. 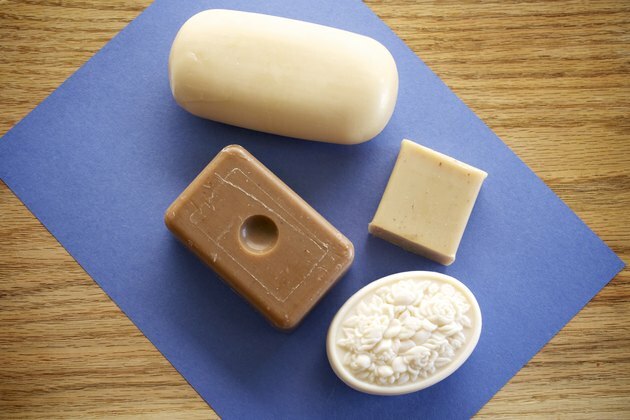 Shea butter is used to heal burns, scars, dermatitis, psoriasis and sores, as well as dandruff and stretch marks. It can diminish wrinkles by moisturizing the skin while increasing circulation and promoting cell renewal. It contains cinnamic acid, which helps to protect the skin from harmful UV rays. Black soap gets its distinctive color from a form of potash, potassium hydroxide, which is derived from the ashes of plantain skins, cocoa pods and shea tree bark, and is the by-product of shea production.